With Skiing at the forefront of our minds at the moment we have picked what we consider to be the Europes finest luxury ski chalets. They’re not cheap but they’re certainly gorgeous. 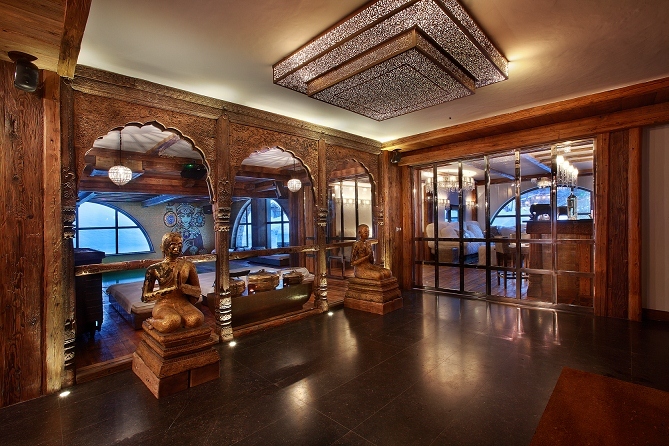 Formerly a luxury ski hotel, the interiors on all 5-floors of Chalet 14 are neutral, natural and more soothing than an hour of Ayurveda. If simply being here doesn’t free you of your cares, a jaunt to the chalet spa should do the trick, where a 10m pool, steam room, plunge pool and Jacuzzi stand ready to coax you into the deepest relaxation. Completing the package, there are also massage rooms, personal therapists (2 in a staff of 15), and a huge outdoor hot tub, where practically all 26 guests can sit together, soak and sip champagne in view of the mountains. 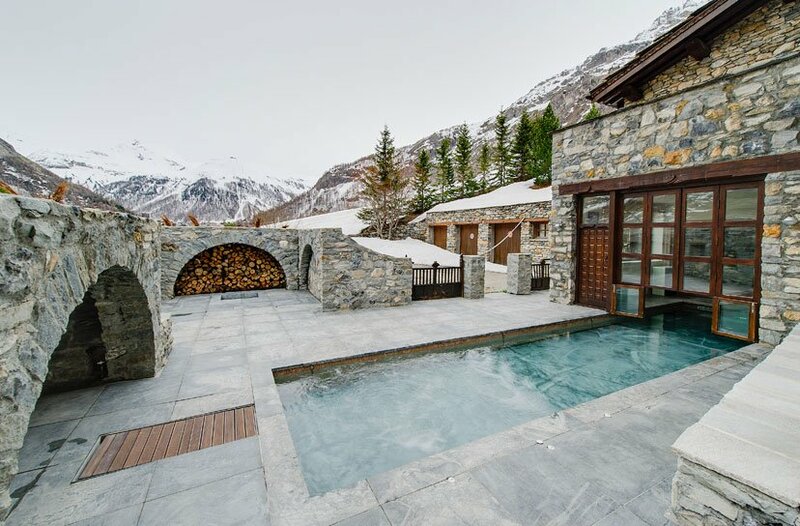 Christian Lacroix designed part of the sprawling ground floor spa of this world-famous chalet, opting for tiles of actual GOLD to frame the pool. This joins a ceiling inspired by an ancient Moroccan souk, and modern additions like the drop-down projector for watching movies on the water. With a bar, sound system and smoke machines to boot, Marco Polo hosts the coolest pool parties outside of Ibiza. When you aren’t too busy boogying, you can kick back in the games room, shape up in the Techno gym or enjoy sophisticated evenings in the basement “wine cave” – no wonder it’s previously been voted the World’s and France’s Best ski chalet. 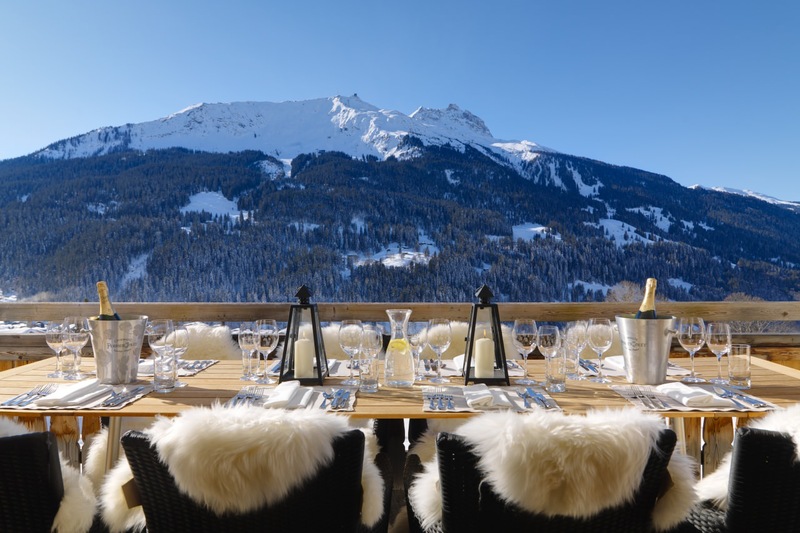 Found in Klosters, the royal and celebrity resort of choice, (where Prince Charles, Wills & Kate and… Katie Price have been papped) Chesa Falcun is often rumoured to have hosted famous figures–though of course these things are always kept terribly hush-hush. Even if you don’t have royal or rock-star blood, you’ll soon feel like you do here, with a private driver, Michelin-trained chef, personal concierge and open bar at your service. Built inside a 17th century former monastery, the Chalet Toit du Monde combines all the latest mod-cons with the historic gravitas of a listed building. Humidified cigar rooms, mood lit saunas, and an “indoor-outdoor” pool with adjustable depth join antique doors, fortress-like walls and fireplaces a mile-wide. Wine and skiing are as natural a combination as woods and furs; facts which haven’t been lost on the designers of the Grand Corniche. This plush, fine-furnished chalet features a fully-fledged wine cellar on the lower ground floor, where the snooker table can be transformed into a dining table. 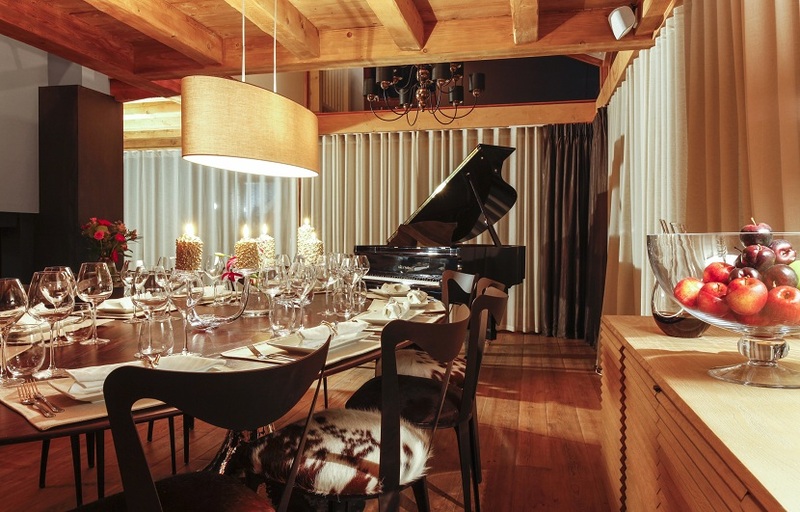 The magic continues up a level, where the grand piano plays itself at dinnertime, and doesn’t stop there – to reach the basement wine cellar, you can forget the stairs or the chalet lift, and hurtle down the indoor slide from the spirits in top floor bar to the bottles at the bottom. Now just to pick your favourite, and head over to our friends at SNO.co.uk for these and a world of other luxury chalets.